The TurboTax Blog > Taxes 101 > How Will You Spend Your Refund? 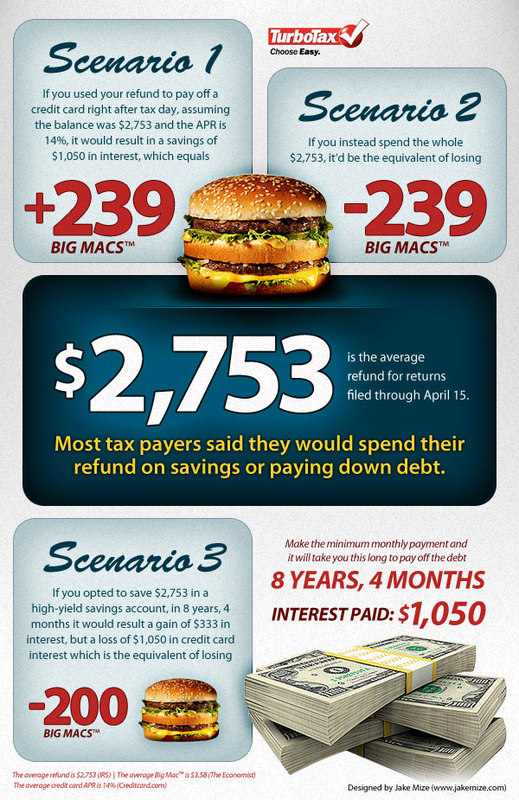 How Will You Spend Your Refund? Everyone is talking about their tax refunds. In fact, a ton of people have filed their taxes already, and are waiting for their refunds. What will you do with your tax refund? OUCH random, kinda takes out the point of giving our purpose. I am in Houston and CAN ATTEND, so if you are not using both lover to connect and team up. I’m in Austin. If you can’t use the other one, I’d love to make friends. I was sorta counting on this, but I bet so were others. But congrats, man. Enjoy ATX. I used TT online to do my taxes & loved it… I had a $400 refund that is going toward debt repayment. I would use that refund to buy a sxsw badge. Done here too! Turbo Tax even caghut the $300 credit for Luke from last year’s stimulus.